Domed Bangle Bracelet. 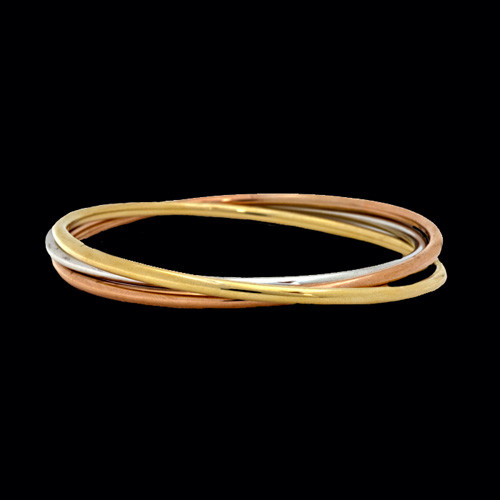 Stylish 14k Yellow, White, or Rose gold domed bangle bracelet. This bangle bracelet is hollow and measures 6.5mm wide. Very nice hinged bangle is 7 inches. 14k Yellow or White Gold Designer Hinged bangle bracelet. 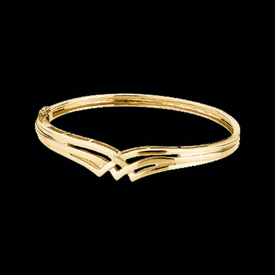 This stylish bangle bracelet measures approx. 5mm wide with a 12mm wide center. Gram weight: 22.2grams. Bracelet is 6.75 inch size. 14Kt Tri Color Gold slip on bangle bracelet. Each bangle measures 2.9mm wide. 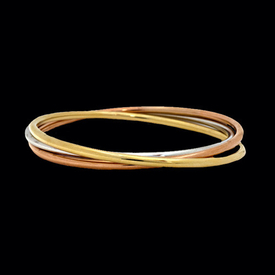 18K White, Yellow, and Pink Gold create this beautiful slip on bangle bracelet. 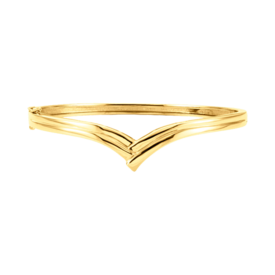 Fabulous 14k Gold Pass Design diamond bangle. This bangle design is available in a variety of sizes and 14k Yellow or White gold. Our price shown is for the 1/4ct selection, additional versions include a 1/3ct, 3/8ct, 1/2ct and larger by request. This beautiful bracelet can be created in Platinum, email for quote. 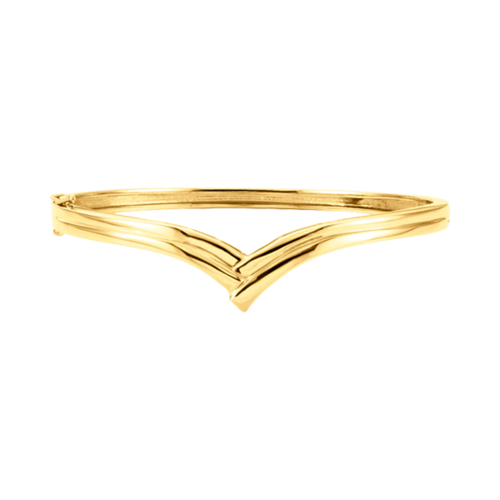 Classic hinged bangle bracelet. 14k Yellow or White gold bangle bracelet measures 4mm wide and weighs 4.40 grams. 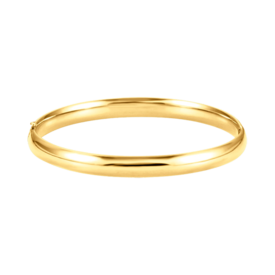 A simple classic design bangle bracelet. 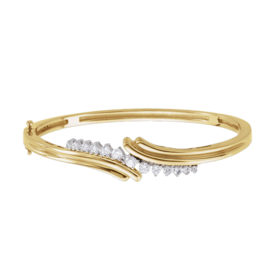 14K Gold Diamond twist design bangle bracelet. This bracelet holds 49 .03ct diamonds for an approx.. 1.50ct tw. Diamonds are SI G-I color. Quality hinged design weighs around 18.9 grams. 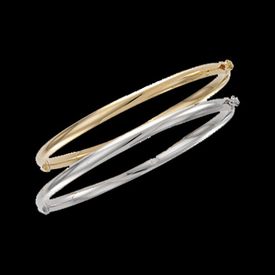 Gorgeous bangle bracelet available in 14k yellow or white gold..
Diamond Bangle. Beautiful 14k Gold and 1/2ctw Diamonds create this Diamond Bangle Bracelet. This bracelet weighs 22.64grams and is available in 14k yellow or white gold. Diamonds are graduated from a 3mm center down either side. 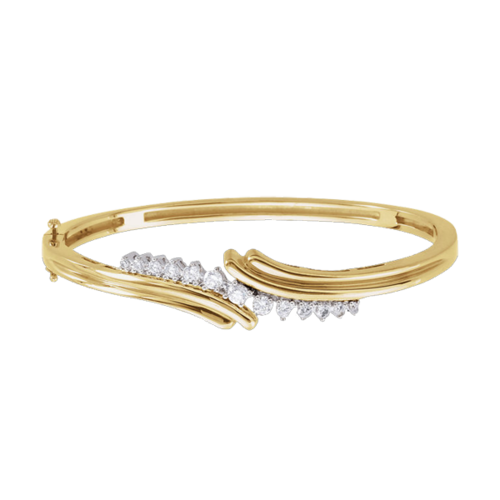 Truly lovely diamond bangle bracelet.